The Magical Water Palace Of Bali. 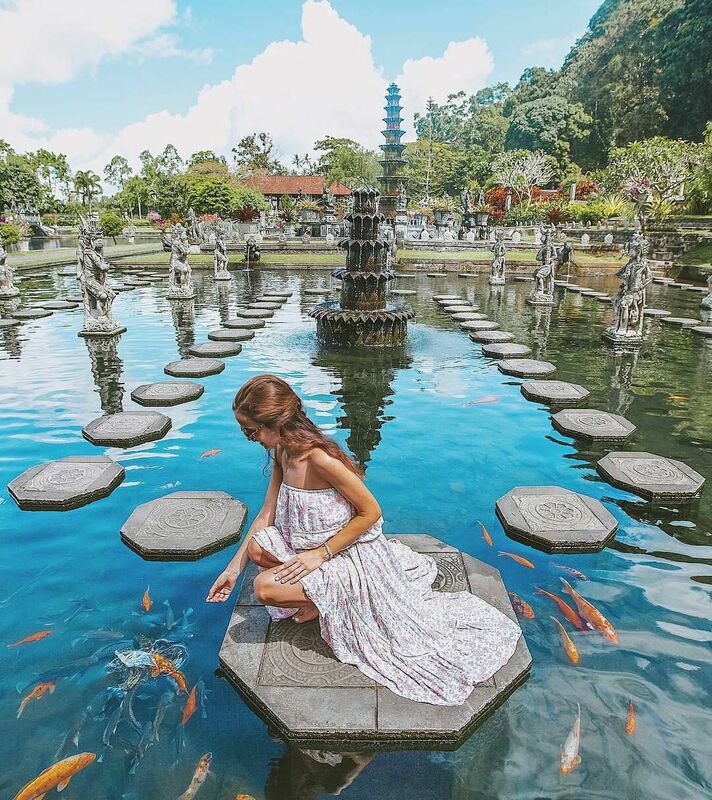 Tirta Gangga Temple is becoming increasingly popular due to the beautiful complex consisting of many ponds of fish, pools, and fountains. 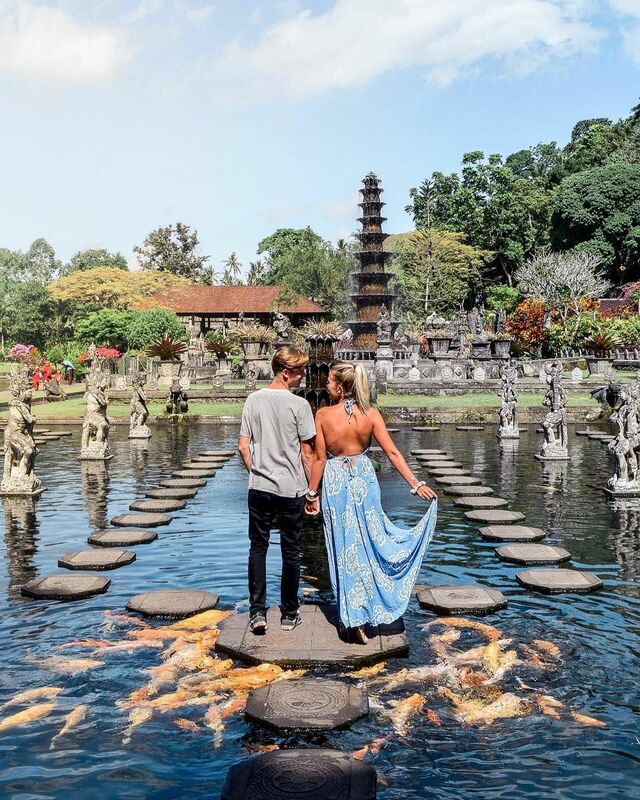 The famous photo spot of Tirta Gangga is located in a pond surrounded by giant Koi fish. The Royal Water Garden East Bali. 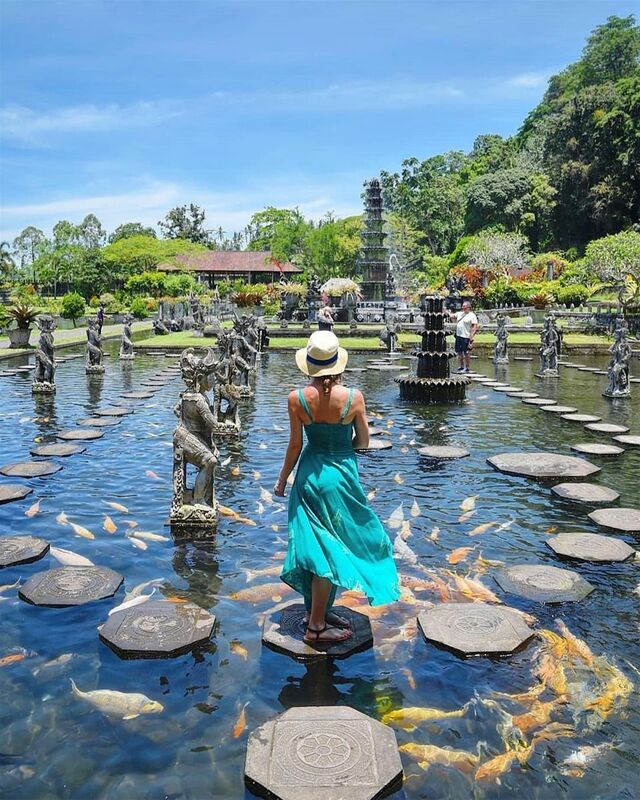 Tirta Gangga royal water garden are composed mainly of water, gardens and sculptures. 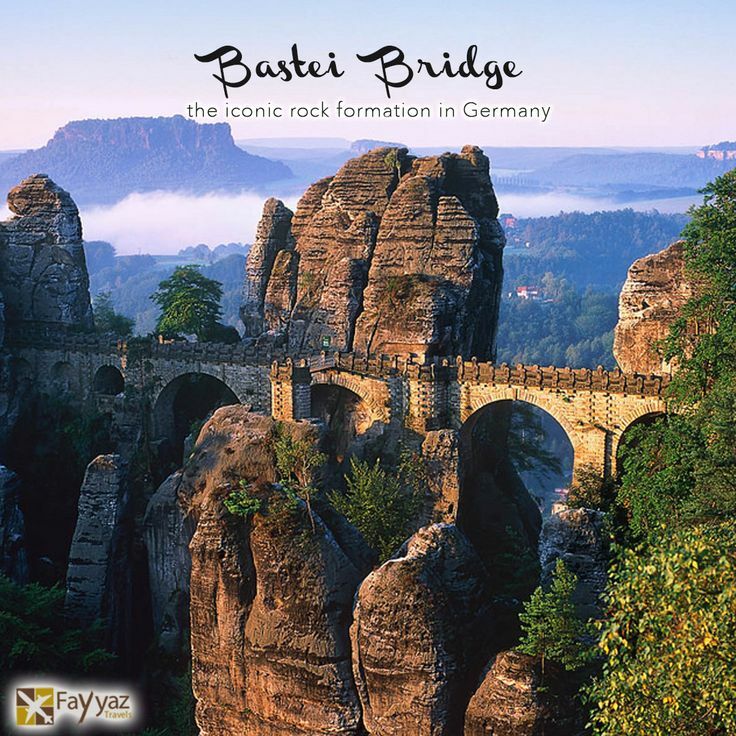 It is situated in the middle of rice field around the natural spring of Raja, approximately 7km.